How do I populate the field? Every Item in Linnworks can have a barcode. This barcode can be used for a number of things, including Listing, or Warehouse management. You can enter a barcode straight into the field in Edit Item, or via CSV file by using the Basic product Import. Certain channels Like Amazon and Play require a unique, industry standard Barcode to be attached to an item before it is listed. This Barcode must be placed in the Linnworks barcode field when listing to these channels via LinnLive. LinnLive will then use the barcode in the barcode field when listing the product. For more information on Listing, please view our Documentation. You can use the Linnworks mobile scanner software to help manage your warehouse. When using a scan gun, the gun will check the physical barcode that you scanned, and look through all your items to look for that particular barcode. 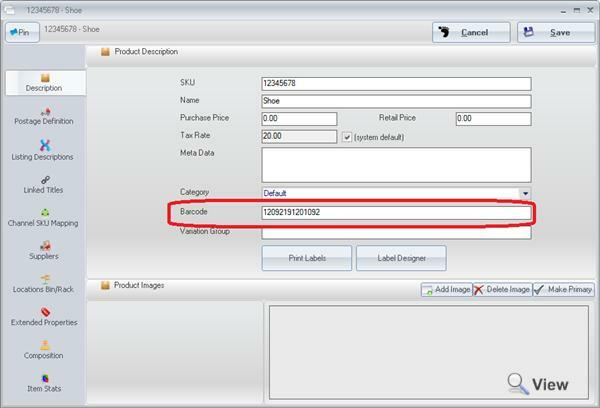 If it finds an item with a barcode in the barcode field that matches the barcode you scanned, this item will be selected. For more information on our scanning software, please view our Documentation. You may find that the physical barcode on your item does not match the barcode that you will be using for listing. In this case, the scanner can also try and match physical barcodes with your SKU numbers in Linnworks. For example, a t-Shirt may have a physical barcode of 12345, and an Amazon Listing barcode of 109210291. In this case, you would have to keep the listing Barcode in the barcode field in order to list the item successfully. This would mean that you will have to rely on your SKU’s in Linnworks matching the Physical barcodes on your stock. You can create Stock Item Labels that display the Linnworks SKU as a barcode, and stick these to your physical products. 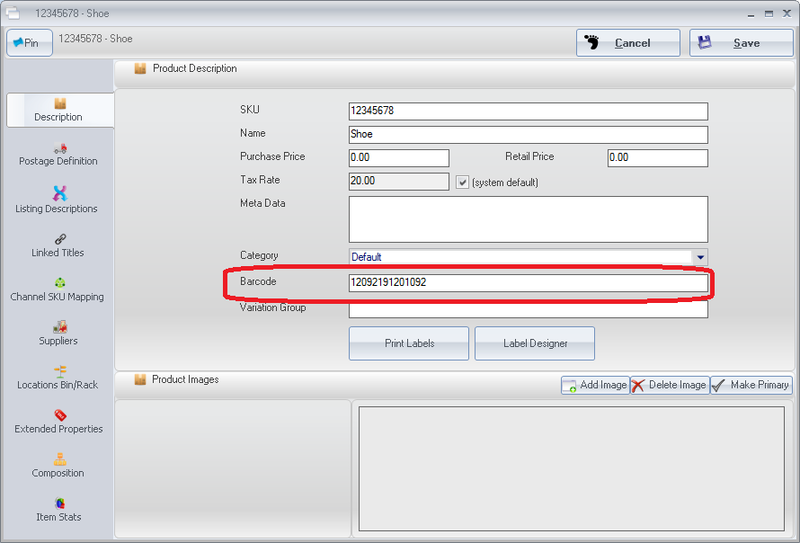 This will allow you to keep using the scanner, even though the barcode field in Linnworks contains the Listing barcode. For more information on how to create a stock item label, please view the Documentation.